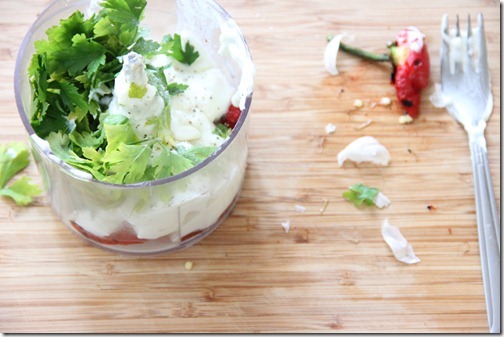 Many party dips are deceivingly light. With each scoop, though, you are packing in the calories and unnecessarily so. Store-bought dips are not only packed with fat, since they often use cream cheese or mayonnaise as a base, but also with preservatives, colorings, and other additives. This recipe is for a creamy red pepper dip that nixes thick creams and instead uses light yogurt and and the flavors or smoky roasted red pepper and fresh garlic. There is also a handful of greens in there too for some extra nutrition! Enjoy! 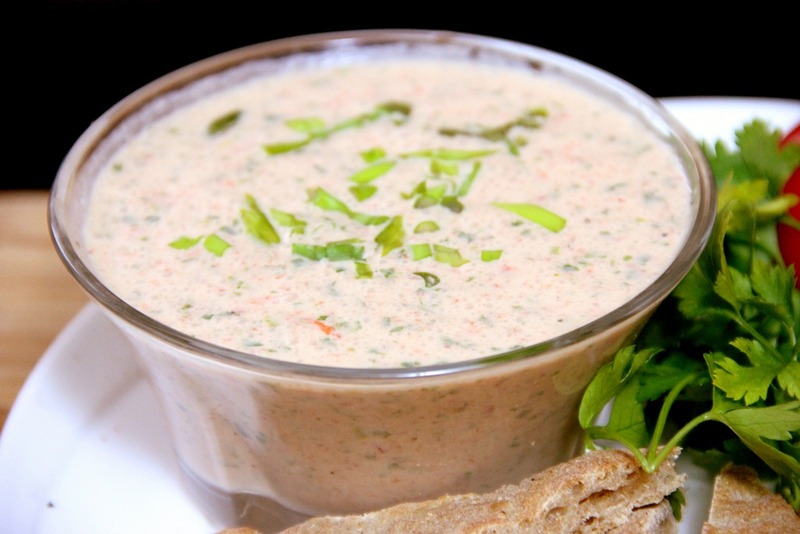 Blend all ingredients except for chives together in a food processor. 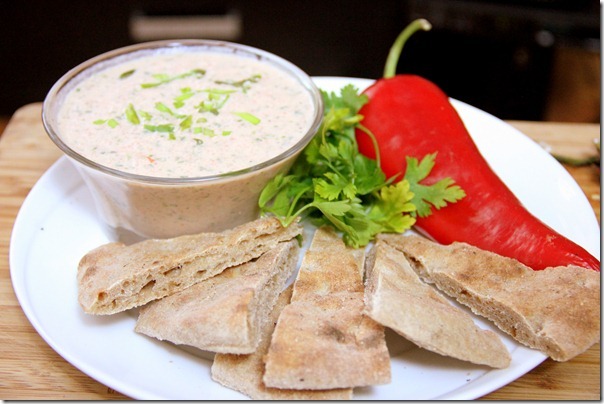 Serve aside crudités or toasted pita bread. Garnish with chives. This entry was tagged chives, dip, garlic, parsley, party, pepper, red peppers, roasted, salt, vegetarian. Bookmark the permalink.